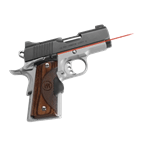 Crimson Trace Laser LG-496G fits Springfield Armory Mod. 2. MSRP is $309.00, add to your cart and see the TJ Target sale price. You have significant savings when you purchase from TJ Target! 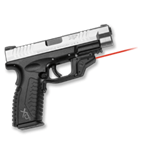 LG-496G Crimson Trace green laser guard for Springfield Armory XD Mod. 2. Monthly coupon discount does not apply to laser sights. Green laser features instinctive front activation. MSRP is $309.00, See the TJ Target sale price, after you add to your cart.